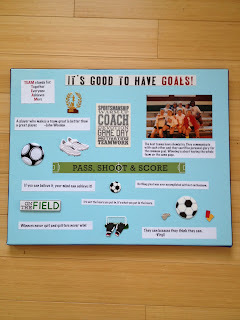 When you have children involved in team sports eventually you will need to get a Coach's gift. After a certain point the gift cards to eateries and sporting goods stores gets to be so tired and impersonal. Then there are the times when your contributions are limited. If you do not have a budget it can be difficult to come up with something that is special. 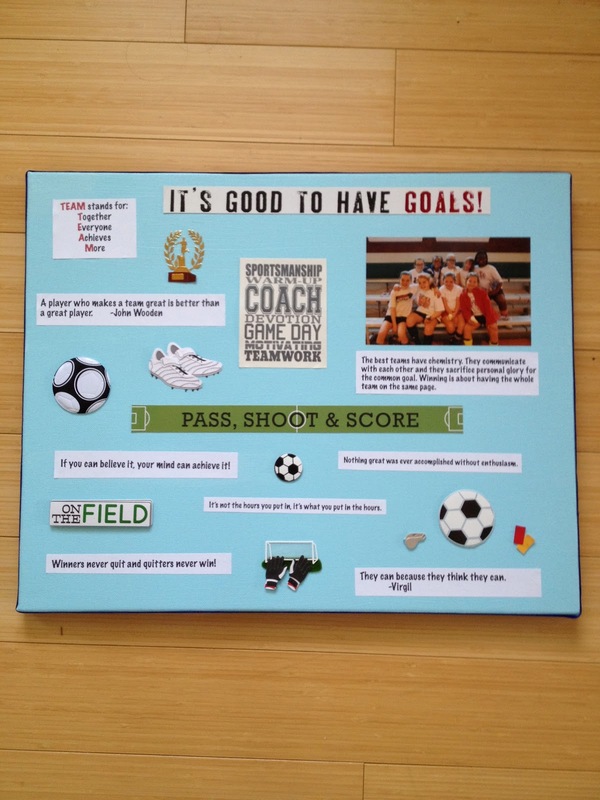 Recently we had a tremendous woman coach my daughter's travel soccer team for a winter training session. These girls needed everything that Coach A was known for being fantastic. The team went through a big change and just ended a bad fall season. The girls were just down in the dumps feeling terrible about themselves and playing soccer. It was a bad time for them. Thankfully Coach A stepped up and took on the challenge of turning these sad girls into a confident strong team. Those training sessions were the saving grace of our team. Coach A brought the team together and taught them how to be a team through the highs and lows of the sport. How do you repay a person who rebuilt athletic confidence to a team? Whereas the team was willing to spoil Coach A rotten, I mean we were just amazed at the changes she created on our team, Coach A made it clear that she did not want to be fussed over. Coach A is one of those amazing people that loves the sport so much that sharing her talents and making a difference is what makes her happy. Still I knew we as a team needed to create some sort of thank you. The girls really benefitted tremendously for those sessions. I began to think about Coach A and what would be the gift for her. I knew what ever it was it HAD to be handmade from the girls. The idea for a mixed media collage came up when I was visiting an elementary school. When I saw those examples I knew I had hit the idea jackpot. I consulted with Olivia and she agreed that a collage would be perfect for Coach A. I was sure to get some pictures of the girls during the training and was hoping that we could get some great shots to include. Each training session Coach A gave the girls a quote as the theme for the week. Olivia collected these quotes with such zeal. That's when I knew what to include in our collage. We kept track of the quotes and I typed them up each week. By the end of the winter we had all of our quotes to include in the project. I had Olivia choose the color to paint our canvas. She suggested a light sky blue color. I mixed up the color to her preference using some of my acrylic paints. We painted the canvas with two decent coats. We wanted to make sure the canvas was covered very well. I let the canvas dry for a whole week. It really only needed 2 good days but since we planned on using glue to assemble the collage I thought it best to let the canvas rest a week to dry and make sure the paint was not going to crack. Oliva cut out the quotes and set them on our table. We stopped by the craft store to pick up some soccer themed scrapbook stickers. She selected out a good variety some we used others we decided to use for something else later. We chose a few pictures from training session that were the best ones showing the fun they had together. The assembly process was the most difficult. Olivia had a very erratic design idea. In the end we compromised on being both erratic and organized. She chose the stickers and the photograph. Together we moved the pieces around until we came up with the final design. It was a process that took a few days to complete. We began using a sturdy craft glue for the quotes. I ended up supplementing the larger scrapbook pieces with some hot glue. We finished the project by hot gluing a navy blue ribbon around the edge of the canvas. I think a nice touch would have been to have each of the girls sign their name someplace on the collage. There's just something lovely about seeing how children sign their names. This is an easy project to replicate. All you need is an inexpensive art canvas some paint and plenty of willingness to be creative to tailor it to your needs.